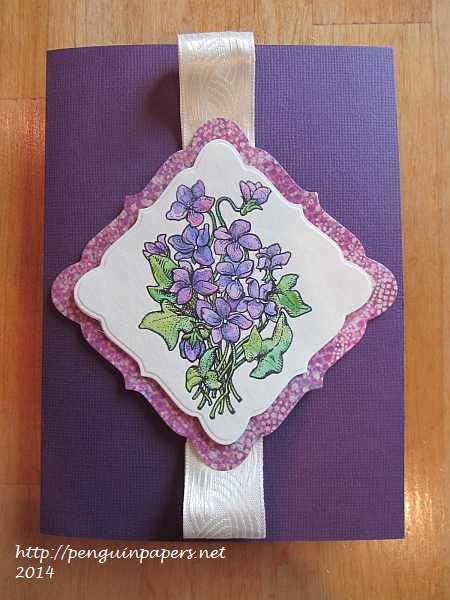 I’m taking the Online Card Classes Watercolor for Cardmakers: Exploring Mediums class right now. This was an image I painted as a result of Day One’s lessons using watercolor-based markers. First I heat embossed the image from Technique Tuesday with silver embossing powder. I then used Ranger Distress Ink markers as my watercolor medium. I haven’t quite pulled a card together with this yet. Thanks for visiting today. I created this card as part of a personal challenge on the Hero Arts Flickr group, where we challenged ourselves to create a card with at least one Hero Arts product within a 90 minute timeframe. I made it (barely!) within that amount of time. I’m very slow and methodical, so any timed challenge is really tough for me! The background was something I made after taking the first day of Online Card Classes “Background Check” class. 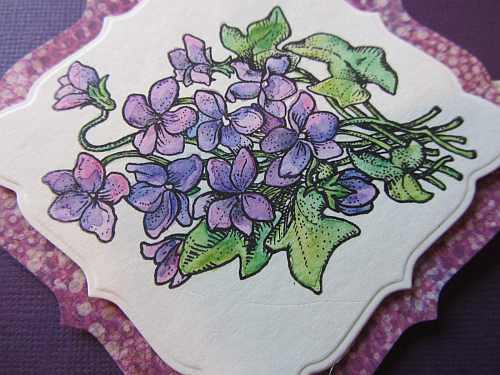 I used Distress inks and water, plus a lovely Hero Arts background stamp to make the background. A very fun technique! Thanks for visiting today. I am in the midst of the Online Card Classes Clean & Simple 4 class. 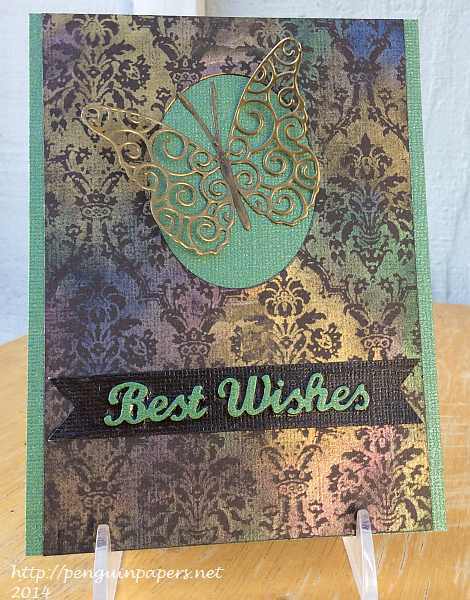 During the lessons on Day 4, I was inspired by Yana Smakula and her Faux Embossing technique. 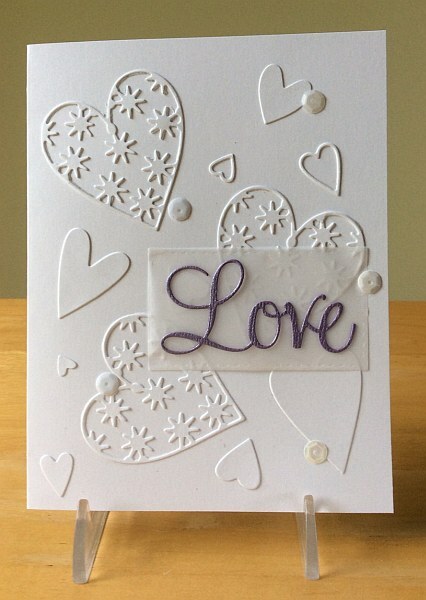 I used a number of different heart dies I have in my stash to create a fun, white-on-white background. 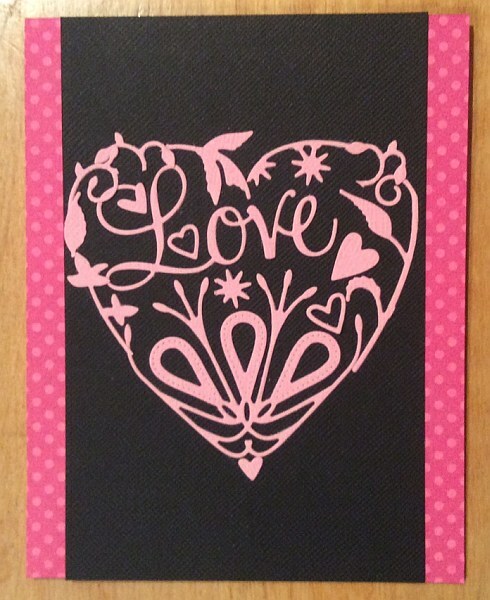 I then attached the Love die cut on a small piece of vellum cut with the stitched rectangle die. You can still see the texture of the heart background through the vellum. I added some pearly and shiny white sequins to the background to accent the bling seen in the sentiment for a subtile and classy look. Thanks for visiting. I am taking the Online Card Classes Clean & Simple 4 class right now. I’m trying to keep up in the evenings after work, although today I did fall behind. However, I did finish a card! I was inspired by Debby Hughes lesson on the faux paper cutting technique. I used a lot of dies in my collection to create this heart. It took a very long time and I learned a lot (mainly about what I’d do better next time!). It was a fun card to complete. Thanks for visiting. This is a birthday card I made this past weekend. It is for my mom. Happy Birthday, Mom! 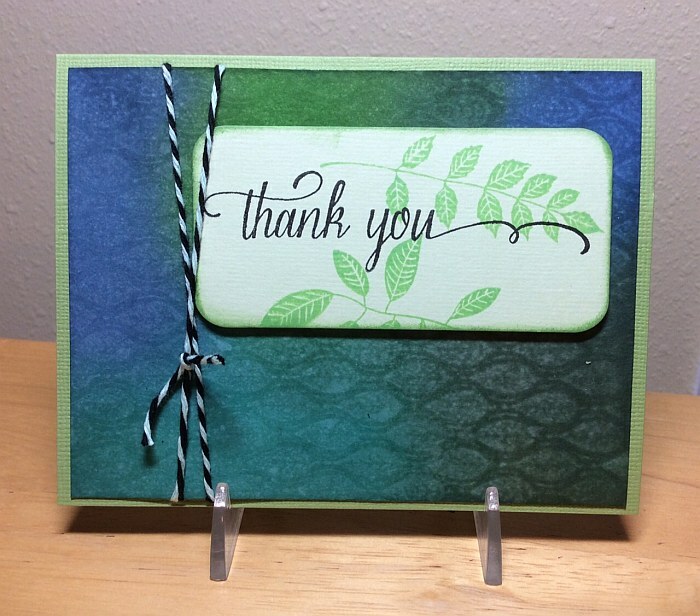 I love a good botanical stamp! 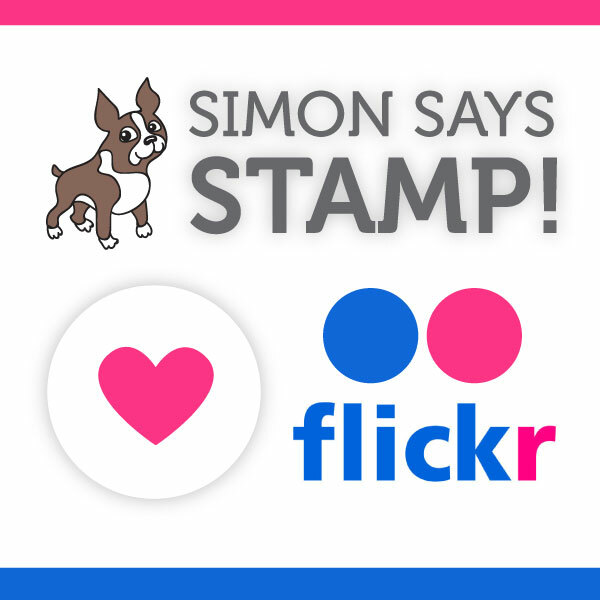 This Flourishes stamp is really lovely. 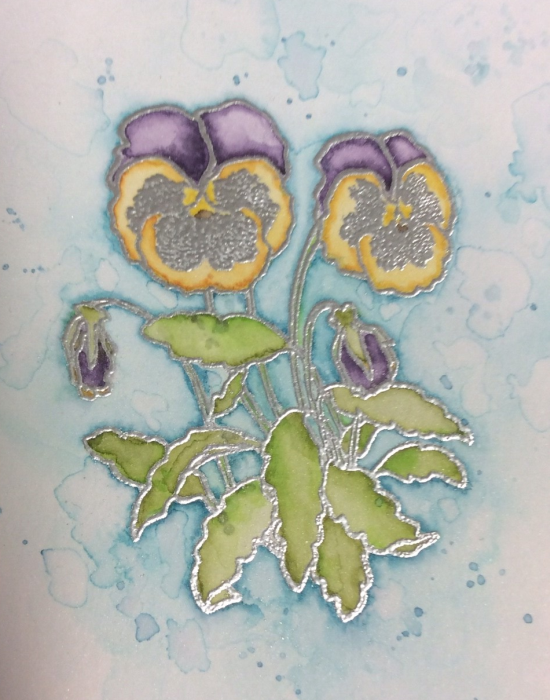 I’ve been taking and really enoying the Watercolor for Cardmakers class at Online Card Classes and this was inspired by some of the lessons there. I used watercolor pencils and a water brush to color the image. If you’d like to see a close-up of the violets, see the photo below. Thanks for stopping by.